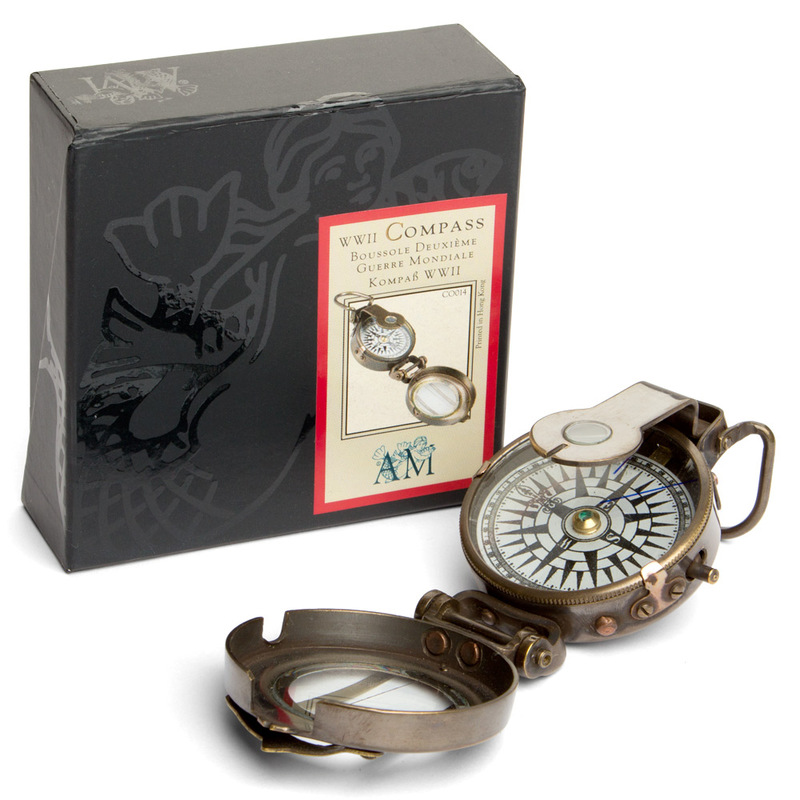 In the 18th Century, long before the invention of GPS navigation, sailors, pirates, explorers and your everyday adventurers would have been (quite literally) lost without a compass. This was a device that opened the world up to discovery more than any other. This WWII Compass from Authentic Models is a replica of a compass that was issued during the Second World War in Europe. Compass features a magnifying lens to make reading easier. Protective case features a sighting line. Moving parts are locked down when compass is closed to prevent rattling.